How Does Virginia Handle Domestic Violence? Police in Fairfax County, Virginia, were able to resolve a domestic violence call without further incident, as reported by NBC4 Washington. After police arrived at the scene, the alleged abuser fled upstairs and refused to leave. With the suspect upstairs, police were able to secure the home, clearing all other people and the victim from further danger. Authorities were able to treat the victim for minor injuries at the scene. After a six-hour standoff, police were able to subdue the suspect and take him into custody. While an official determination is still forthcoming, it seems likely that the suspect will face domestic violence charges. Given the potential implications of this news story, it seems like a perfect time to review Virginia laws concerning domestic violence. 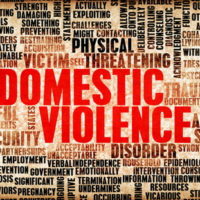 What is the definition of domestic violence in Virginia? Domestic violence, also known as family abuse, involves physical violence or the threat of physical violence against a family member or household member. Essentially, this is the same standard used in assault and battery. The only difference is that the victim must be related to or living with the perpetrator. Now that we have a basic comprehension of what domestic violence means in Virginia, we need to explore the boundaries of family and household members. Who qualifies as family or household member? Virginia applies a broad definition of family member as it relates to domestic violence. Your spouse, significant other, siblings, parents, grandparents, children, and grandchildren can all qualify as family members under Virginia law. Co-habitants who live together presently or lived together in the past year. Having covered family and household members, we now turn to the penalties for domestic violence. What is the penalty for domestic abuse? Generally speaking, domestic abuse in Virginia is a Class 1 misdemeanor, which carries a maximum of 12 months in prison and a $2,500 penalty. If an individual is convicted for domestic three times or more within 10 years, then domestic abuse rises to the level of a Class 6 felony. At that point, the repeat offender is subject to a maximum of a five-year prison sentence. It should be noted that out-of-state convictions for domestic abuse apply as well. Domestic violence charges have serious consequences. You may be facing jail time or serious penalties. Furthermore, a conviction for domestic violence may have a negative impact on child custody, divorce settlement, and alimony. With so much at stake, it is essential to seek legal advice from a knowledgeable domestic violence attorney. If you are in need of legal counsel concerning domestic violence or other criminal matters, know that Simms Showers LLP can help you. Contact a Leesburg, Fairfax, Winchester, or Manassas criminal defense attorney at 703-997-7821 or online via a quick form.